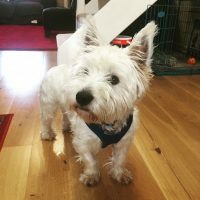 Didn’t know where to start with a rescue dog and never owning one before – Louise gave the dog and the owners confidence to deal with issues we had recall, his own confidence. She was amazing. Thoroughly recommend Happiest Hounds Dog Training. Happiest hounds training for us was so positive and rewarding. Excellent deliverence by Lou and brilliant interaction for ourselves and our doggie. would highly recommend. 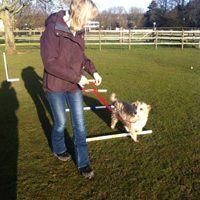 Thanks so much Louise for a fabulous intermediate training course – Buster loved it! Toby has done so well in your class and I am really chuffed!! Just want to say thank you from me and Bugsy! Had a great time and learned a lot from the course. 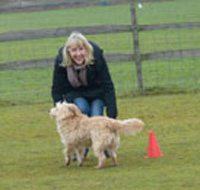 Louise is great at teaching both dog an owner how to do things in a fun and relaxed atmosphere! She adds little touches that make it all extra special! 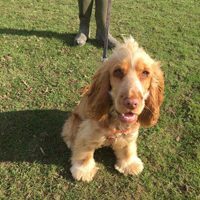 Since I started reward-based training with Happiest Hounds, the difference with my 8 month old cocker spaniel has been incredible. She was quite good at recall – until she suddenly got ‘in the zone’ and bolted off in the direction of the road after a low-swooping bird! 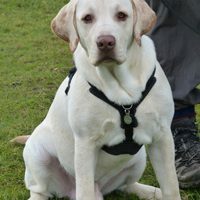 Now, I use treats as a reward for regularly coming back to me; I particularly use this at times on the walk when I know there is a road at the other side of the field, and want to keep her focus on me and not on any unwanted distractions. I should say that she still has plenty of freedom and also that I use part of her breakfast for rewards, so that she doesn’t put on weight. My dog is so utterly motivated by food that she enjoys working for her treats, and she loves being stimulated with all the other training games and tricks that we have been learning. 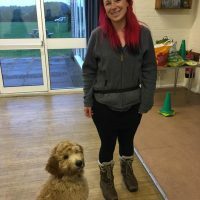 I am really happy that I made the decision to start reward-based training, and Louise is so enthusiastic and knowledgeable that it makes the lessons fun and rewarding for my dog and myself. Your training has been exceptional. Well planned, perfectly paced, thoughtful, encouraging, skillful….you successfully negotiated 4 puppies, 4 owners (probably more difficult than the puppies!) And a couple of children. I learned a lot from the training. A special thank you for bringing the mats for Walt too. Can’t speak highly enough of Louise and Happiest Hounds. Having our first puppy, we wanted to make sure we had the best possible training for him and that is what we’ve got. 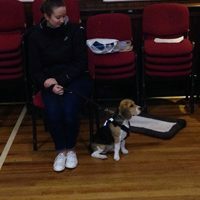 The Puppy Life Skills course was so effective and helped our nervous little pup become a confident, well behaved boy. It also taught us as new puppy parents so much valuable knowledge; it’s really enabled us to understand life from our puppy’s perspective. Everyone should do this course! Louise delivers training in an interesting, enthusiastic way that we really love. I’m not sure who enjoys it more – us or our pup! 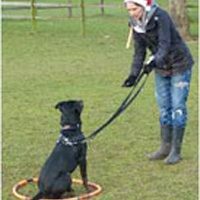 The small classes are the perfect environment to allow your dog to flourish. 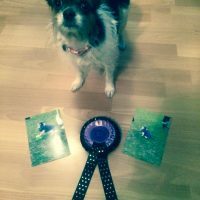 She knows just how to get the best from your dog and her tailored approach gets great results. Dogs love her! 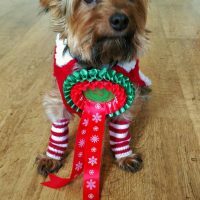 We love the style of training Happiest Hounds provides – it really let’s your dog’s personality shine. I know the relationship we have with our dog is so much closer due the training we’ve done with Happiest Hounds. It’s so much more than ‘sit’ ‘stand’ ‘stay’ – we’ve learnt to understand and respect each other and that is priceless. Thank you! Frankie and I joined Happiest Hounds for puppy training, and enjoyed the classes so much that we never left! 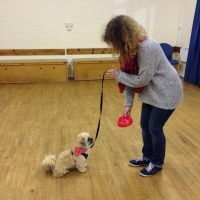 In the last year we have learnt so much – Louise helps you develop really useful skills which are totally relevant in everyday life with your dog. 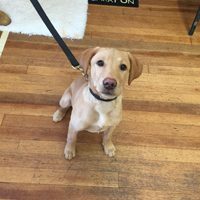 My hope for Frankie was for him to grow into a polite, well behaved dog, and Louise’s training methods have certainly played a major part in helping me understand how to achieve this. Her classes are small, friendly and professional; packed with fresh ideas and tips, we always have great fun too. Thank you, Louise! 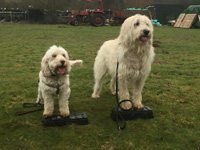 I had an amazing time training with Louise at Happiest Hounds. It was great to work outside in a real life environment with real life distractions. Timba’s focus on me increased dramatically with him wanting to focus on me rather than sniff around and look at the birds which for a Springer Spaniel was amazing! 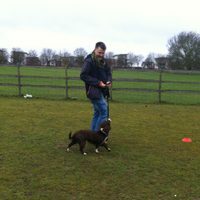 I really enjoyed the class, I have trained many dogs in the past yet I still learnt some new tricks. I’m looking forward to the advanced classes. Saturday mornings are the most exciting in our household, Joe and Ted cannot contain their enthusiasm. 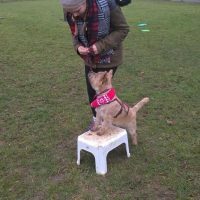 Joe is a very young 8year old who is getting a real boost from reinforcing some things he learnt several years ago, especially as treats are involved. I have noticed that at home his interest in playing and focusing on me has developed and he is really enjoying life. His new tricks are also being shown off on his PAT dogs visits. 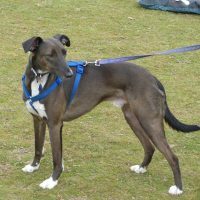 Ted is a very mischievous young dog, we are finding the reward approach really suits him, also because of the variety on the course he is never bored or restless waiting for his turn which often happens at the more traditional dog training classes. He is also more focused at his agility class. 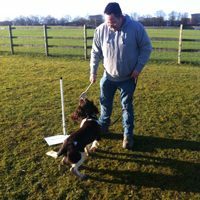 Our course with Louise gave Fidget and I a big start in the use of reward based training. The location is perfect – lots of real life distractions to be coped with during the session, which makes park life much easier to handle on morning walks…..The homework is great fun – the balls in the muffin tray game is a particular favourite. Thanks to Louise from Fidget and me!! Louise has visited myself and Reggie on a one to one basis and we have also attended the puppy classes. Louise has been absolutely fantastic with my little pup and also his neurotic owner! 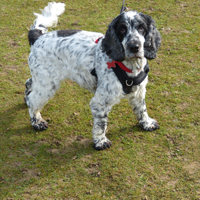 Her methods have made a huge difference in Reggie’s behaviour and she is always on hand with advice and support. I cannot recommend her enough!! “Just want to say thank you from me and Bugsy! Had a great time and learned a lot from the course. 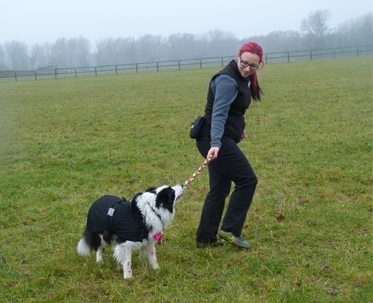 Louise is great at teaching both dog an owner how to do things in a fun and relaxed atmosphere!